When it comes to trucking industry technology, there have been a number of exciting developments in recent years, including GPS and wireless communication devices. However, one of the main problems with such technologies is tying them all together. Until recently, the task of bringing together wireless trucking technologies has meant that fleet managers had to use hard-wired devices and often proprietary software that could only be accessed through company computers back at headquarters. What this has meant is that drivers would need to also use proprietary devices in order to access a trucking company’s system, and even then, getting paperwork back to the office generally had to be done manually. Thankfully, today, a solution is being offered that can manage all of these drawbacks; cloud computing for the trucking industry. Cloud computing basically means hosting software on a remote server where it can be accessed from multiple devices in multiple locations to help in managing your fleet. Through cloud computing for the trucking industry, drivers, dispatchers, fleet managers, and staff can all use the functionality of the software without having to install or manage it, and such software can be accessed from smartphones, tablets, laptops, desktops, and other Internet-capable devices. Essentially, cloud computing eliminates the need to always check back in with headquarters in order to communicate. You simply log into the website where your software is hosted and all of your data is available in real-time, as are any changes that have been made. In addition, using cloud-based technology to manage your fleet allows for faster updates regarding truck driver location and routing, and it can also provide trucking companies with a quicker way to receive payment information from customers. For example, if a driver is en route with a load and a major accident shuts down a highway that the driver needs to access, dispatch can log into their cloud-based software, update the driver’s route to avoid the area, and the driver will receive the updated routing information in real-time. Once the driver reaches his or her destination and delivers the load, he or she can take a picture of the billing paperwork using a smartphone or tablet and then upload it to the cloud where it can be saved and accessed. This means that a signed document can be processed faster, allowing you to invoice your customers faster, ultimately meaning you’ll get paid faster. At Melton Technologies, we’re working on cloud-based solutions that allow for fleet managers to increase efficiency and productivity. Our team is excited to reveal all of the amazing features and functionality to be included with Horizon Web, so stay tuned for additional updates, and don’t forget to follow us on Facebook for the latest news. How do you feel about cloud computing? Are you currently using any software that is hosted in the cloud? Leave your comments below to sound off, and don’t forget to share this article on Facebook, Twitter, and your other social media profiles. Chuck Melton is a pioneer in the transportation technology field. 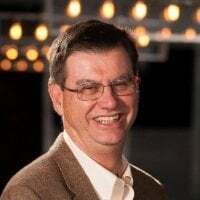 Founder of one of the early PC-Based trucking software companies - Integrated Transportation Software in 1984, he developed one of the first links to satellite-based onboard systems including Qualcomm's (at the time) OmniTracs system. He sold the assets to Qualcomm and has managed a successful software company for over 30 years serving trucking companies across the nation.